Eduardo Silva named a 2019 Emerging Investigator by Biomaterials Science. The 2019 Biomaterials Science Emerging Investigators were individually nominated by members of the journal’s editorial and advisory boards, as well as previous Emerging Investigators, in recognition of the honorees’ potential to influence future directions in the biomaterials field. Eduardo Silva gave a presentation at the Department of Biomaterials, University of Oslo, Norway. Kevin Campbell and Joshua Massey. 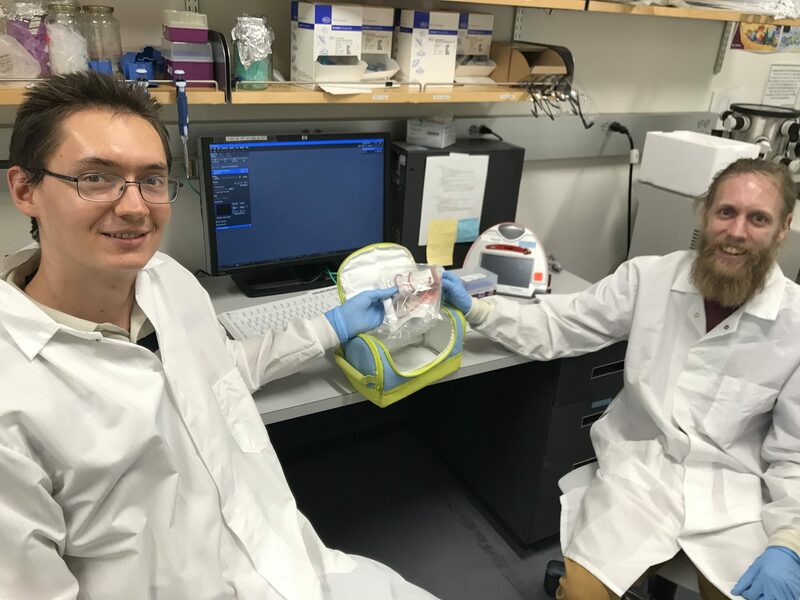 Kevin Campbell and visiting student Joshua Massey (Humboldt State University) performed their first isolation of progenitors cells derived from an human cord blood unit. Thanks to our California’s Umbilical Cord Blood Collection Program. Eduardo was invited to visit and to present at the Instituto Superior Técnico (Dept. of Bioengineering) (Lisbon, Portugal). 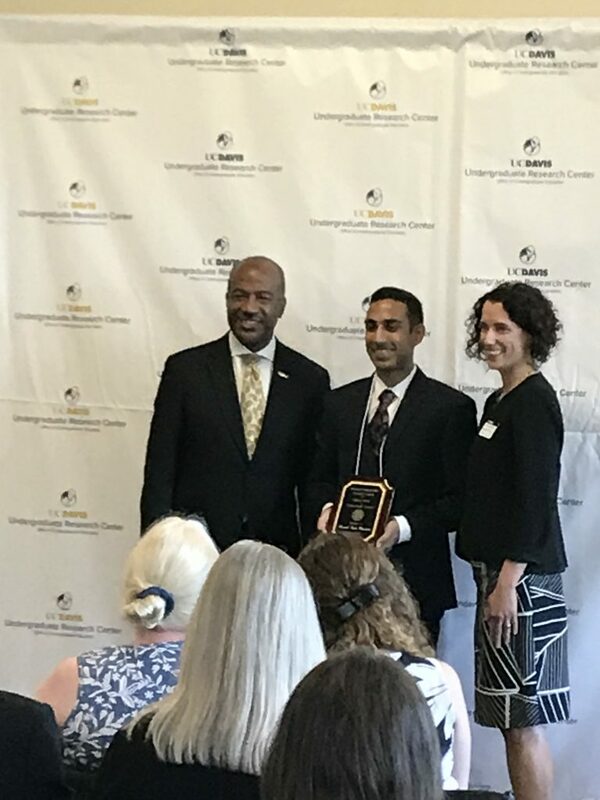 Congratulations to Shonit Sharma for being awarded the Chancellor’s Award for Excellence in Undergraduate Research (Simonton Prize). Shonit Sharma presenting his work during the Annual Undergraduate Research Conference. 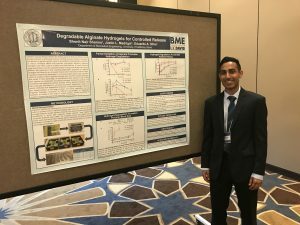 Shonit Sharma presenting his research during the 29th Annual Undergraduate Research, Scholarship and Creative Activities Conference (2018). Great oral presentation with a demo during the presentation. Laureen Uyesaka (right) presenting her work during the poster session. Laureen Uyesaka presenting her research during the 29th Annual Undergraduate Research, Scholarship and Creative Activities Conference (2018). Great job, Laureen!! 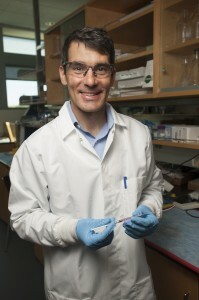 Eduardo Silva was promoted to Associate Professor (with Tenure) in the Department of Biomedical Engineering, College of Engineering, UC Davis. 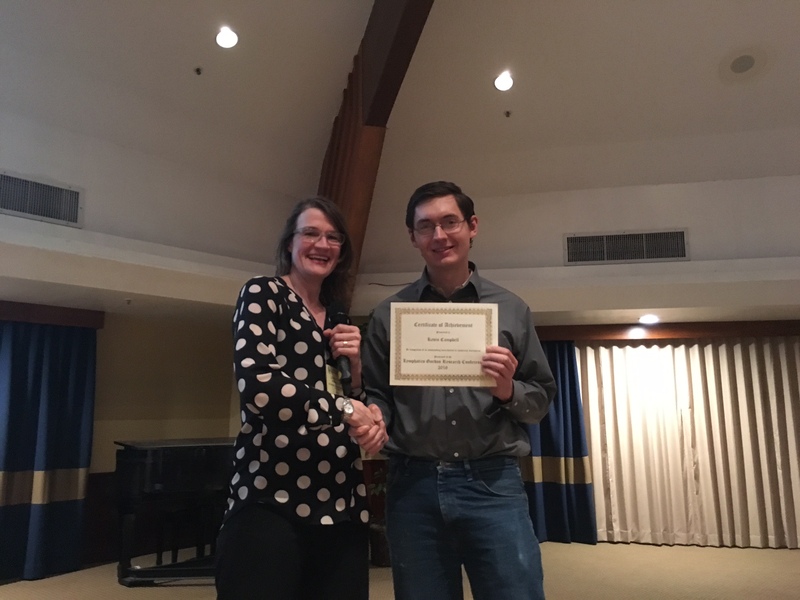 Kevin Campbell receiving an award for best poster presentation during the Lymphatics GRC (2018). 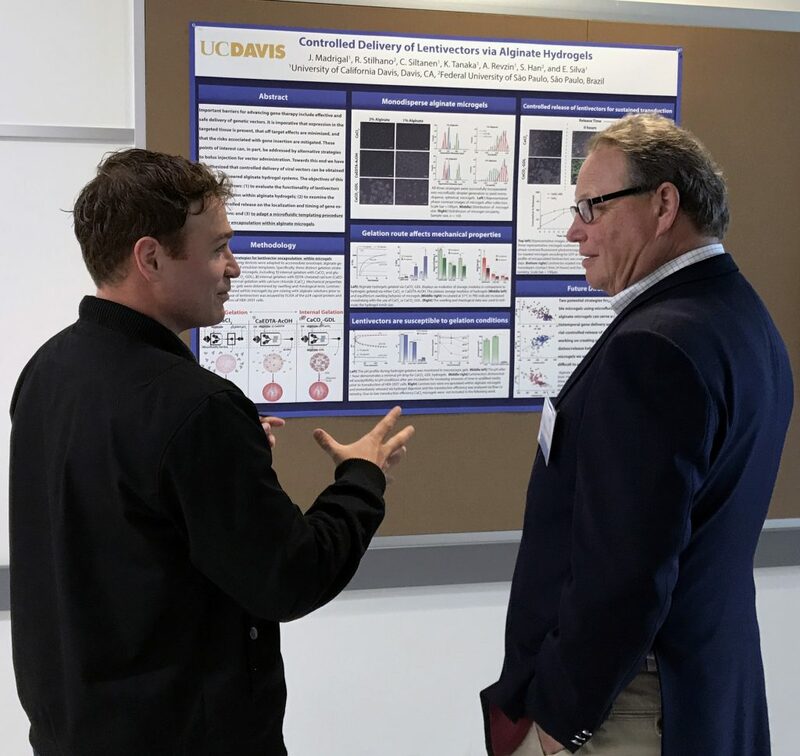 Congratulations to Kevin Campbell for being awarded during the Lymphatics Gordon Research Seminar (GRS) Gordon Research Conference (GRC) for best poster presentation. Congrats Kevin!!! Congratulations to Justin Madrigal for his recent publication at Acta Biomaterialia. Microgels produced using microfluidic on-chip polymer blending for controlled released of VEGF encoding lentivectors. Check it out here. 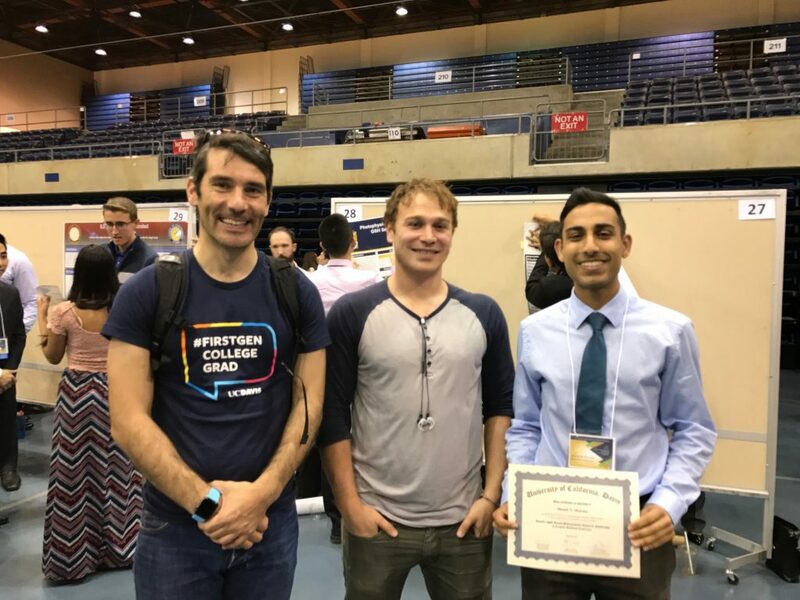 Congrats to Shonit Sharma for receiving a first place for his poster and delivered a plenary lecture at the Harvard National Collegiate Research Conference Conference (NCRC), held Jan 18-20. The Harvard NCRC is the nation’s largest student-run research conference, with over 200 students from 81 universities participating this year. 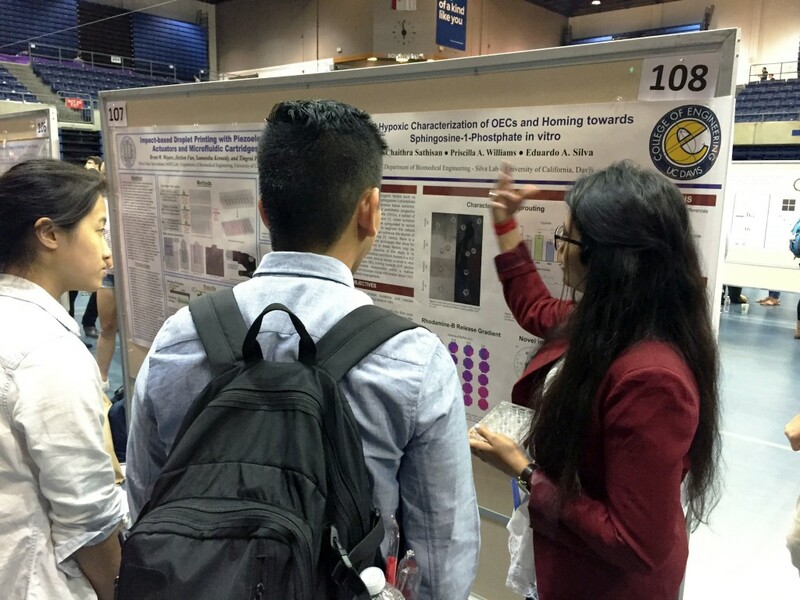 Congrats to Shonit Sharma for being selected as a plenary speaker in the Harvard National Collegiate Research Conference. The National Collegiate Research Conference, hosted by the Harvard College Undergraduate Research Association (HCURA), began in 2012 as a platform for undergraduates from across the nation to share their interest in research and to facilitate the creation of a cohesive undergraduate research community. Currently, this is the nation’s largest undergraduate student-run conference and features over 200 undergraduate students from 81 universities. You can now follow us on Twitter (@silvalabUCD) and Instagram (silvalabucd)! Congrats to Shonit Sharma for being awarded an Undergraduate Travel Award! 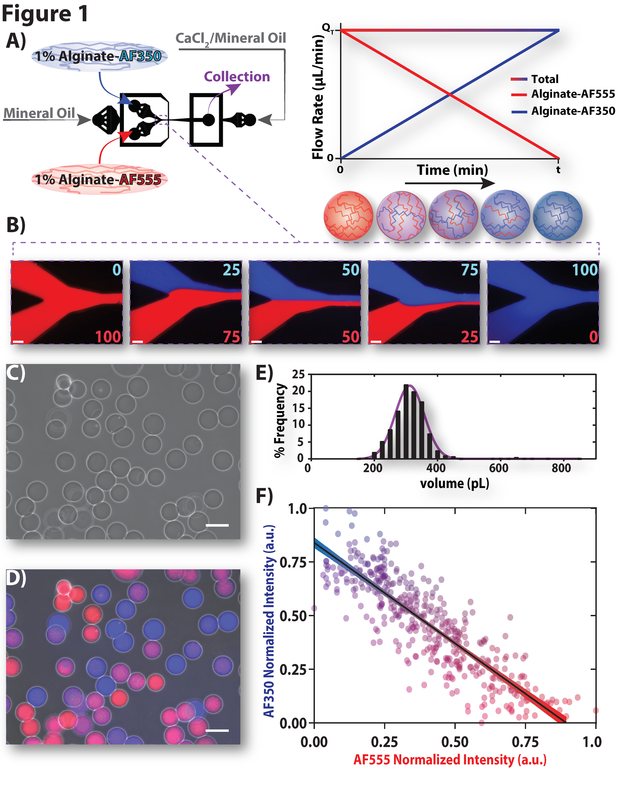 Congratulations to Ana Torres for her recent paper entitled “Guiding morphogenesis in cell-instructive microgels for therapeutic angiogenesis“. This paper has been published in Biomaterials! Check it out here. The Silva lab was active sharing our research efforts during the 2017 Biomedical Engineering Society (BMES) Annual Meeting. Three talks and one poster! Congratulations to Priscilla Williams, Justin Madrigal, Kevin Campbell and Shonit Sharma. Shonit Sharma (left) and Eduardo Silva (right). 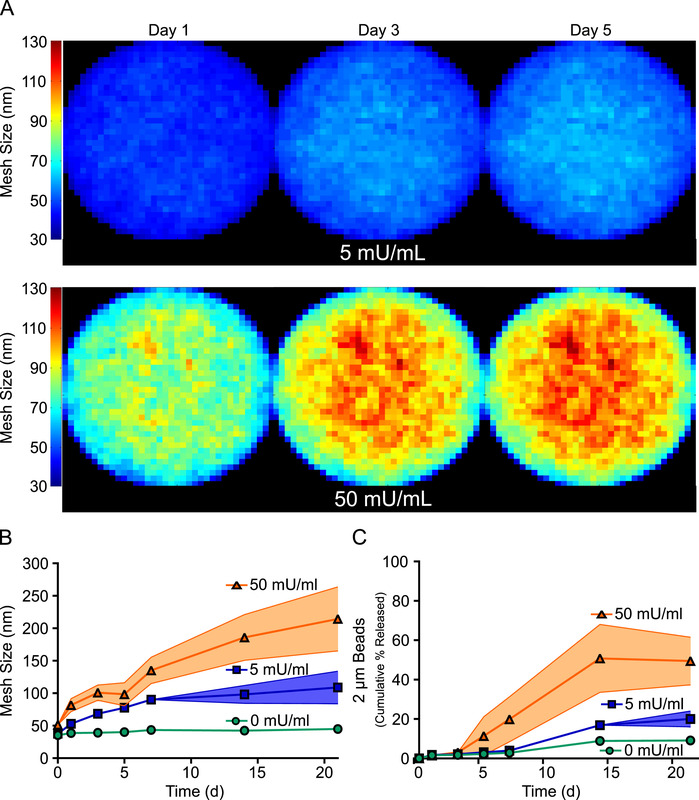 Congratulations to Priscilla Williams and Kevin Campbell and co-authors for their recent publication – Alginate hydrogels of varied molecular weight distribution enable sustained release of sphingosine-1-phosphate and promote angiogenesis. Journal of Biomedical Materials Research Part A (in press). Congratulations to Kevin Campbell for being award with a Predoctoral fellowship from the NHLBI Training Program. Congrats, Kevin!!! 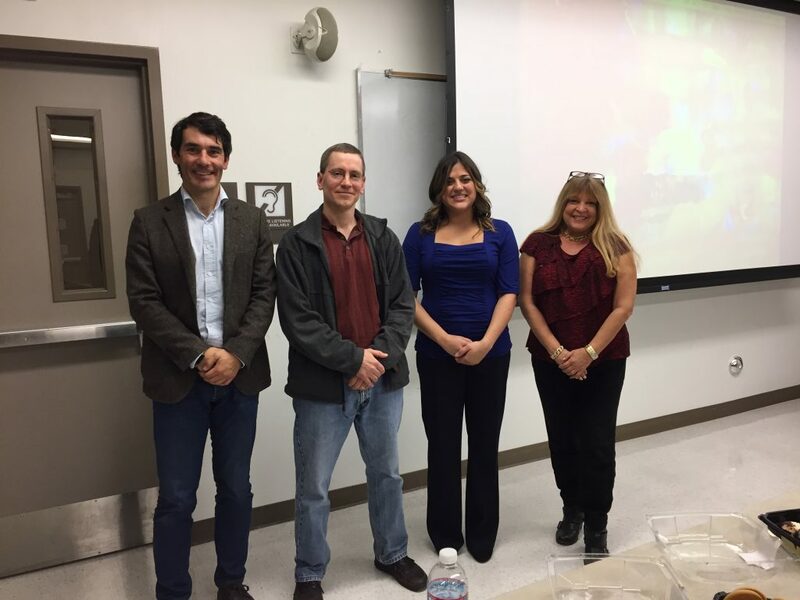 (left to right) – Prof. Silva, Dr. Madrigal, Prof. Nolta and Prof. Leach. 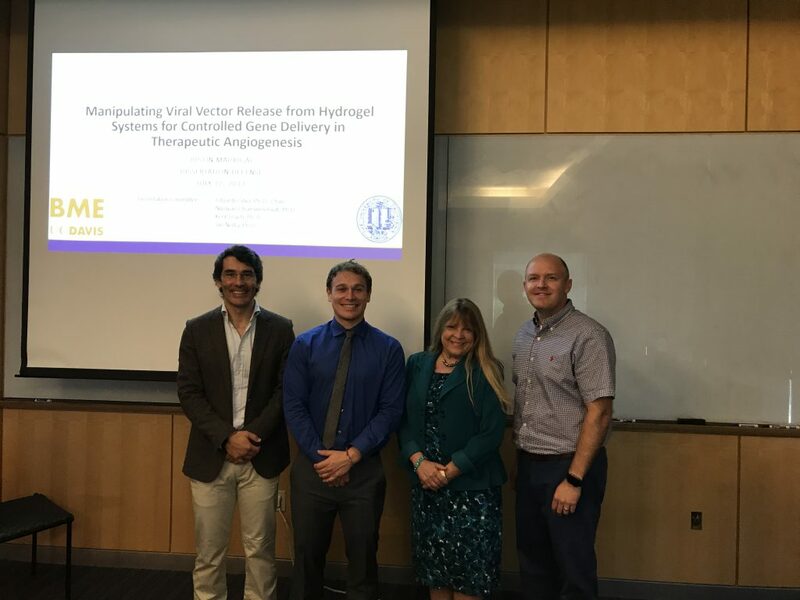 Congratulations to Justin Madrigal for successfully defending his PhD. Justin delivered his presentation fantastically!! Awesome, Dr. Madrigal! 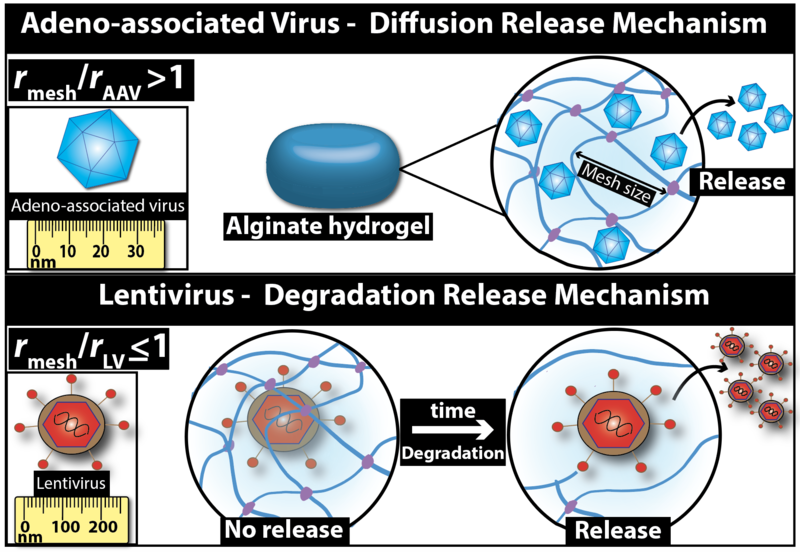 Congratulations to Kevin Campbell and co-authors for the recent publication – Alginate hydrogels allow for bioactive and sustained release of VEGF-C and VEGF-D for lymphangiogenic therapeutic applications. PLoS ONE (PDF). 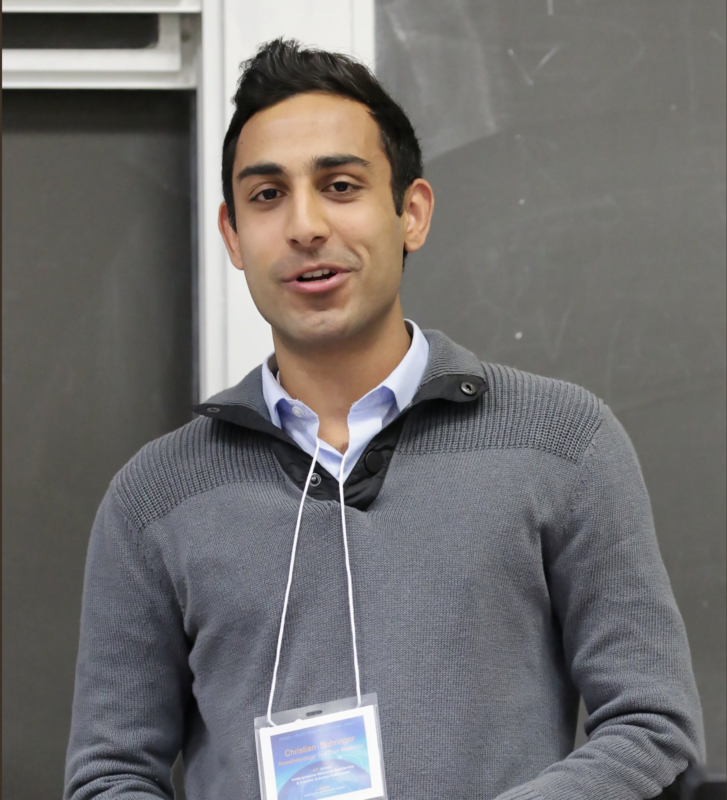 Shonit Sharma presented his work during the 18th Annual UC Systemwide Bioengineering Symposium at the UCLA. Shonit Sharma presenting his poster at the UC Systemwide Bioengineering Symposium. Congratulations to Shonit Sharma for being awarded with a Undergraduate Travel Award. Shonit will be presenting his work during the 18th Annual UC Systemwide Bioengineering Symposium at the UCLA. Congratulations to Lauren Uyesaka for being awarded a Provost’s Undergraduate Fellowship. Lauren Lauren is a second year undergraduate biomedical engineering major, working under direct supervision of Roberta Stilhano. Designing cell delivery vehicles with programmable degradation is the title of Lauren’s project. Congrats for the fantastic work!!! 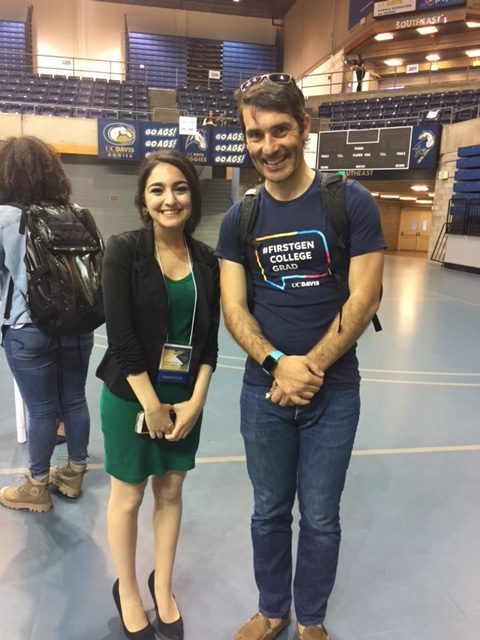 Marina Gabriel and Shonit Sharma presented their research at the 28th Annual Undergraduate Research, Scholarship and Creative Activities Conference. Congrats for the great job!! 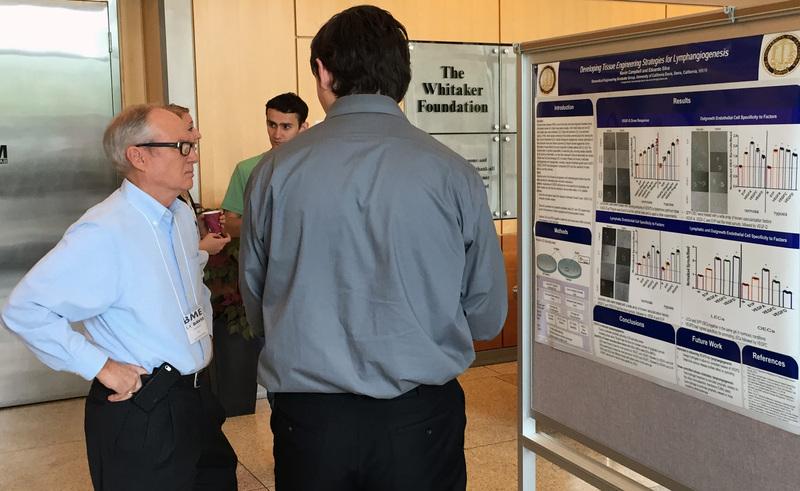 Justin Madrigal presenting his research to John Maroney. Justin Madrigal presented his research to our BME External Advisory Board members, including to John Maroney (picture). 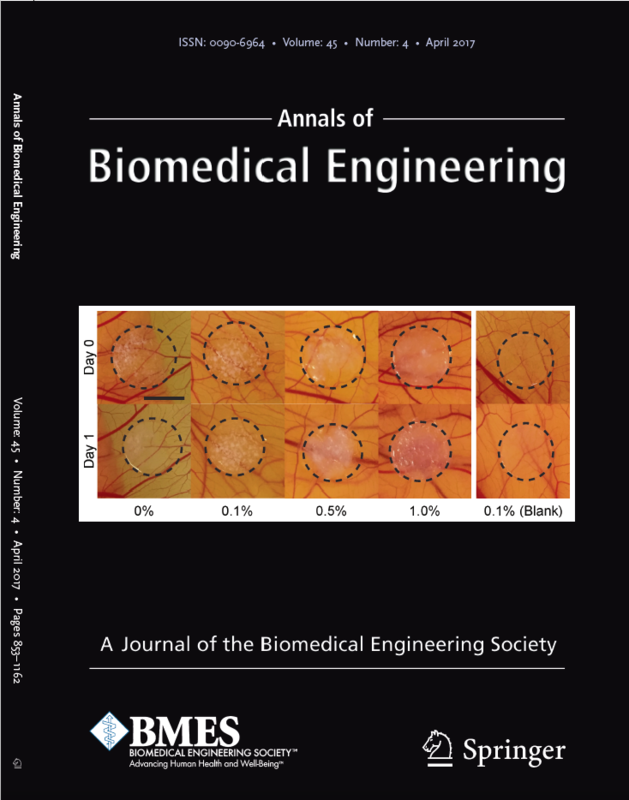 Congratulations to Priscilla Williams and co-authors, our recent publication (PubMed link) was selected as cover image for the April issue of the Annals of Biomedical Engineering (link). 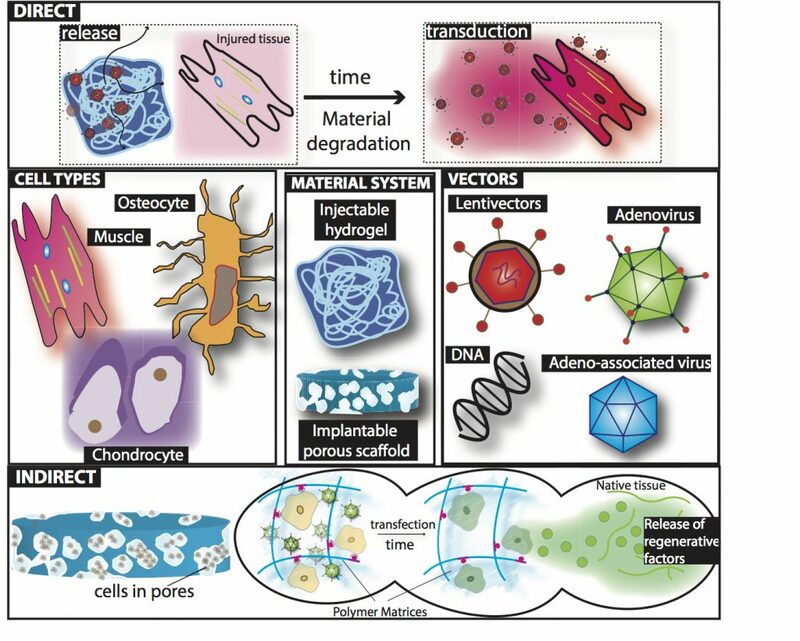 Schematic illustration of biomaterial approaches for gene delivery in musculoskeletal tissues. Our recent published work was highlighted in the UC Davis BME website (see link). 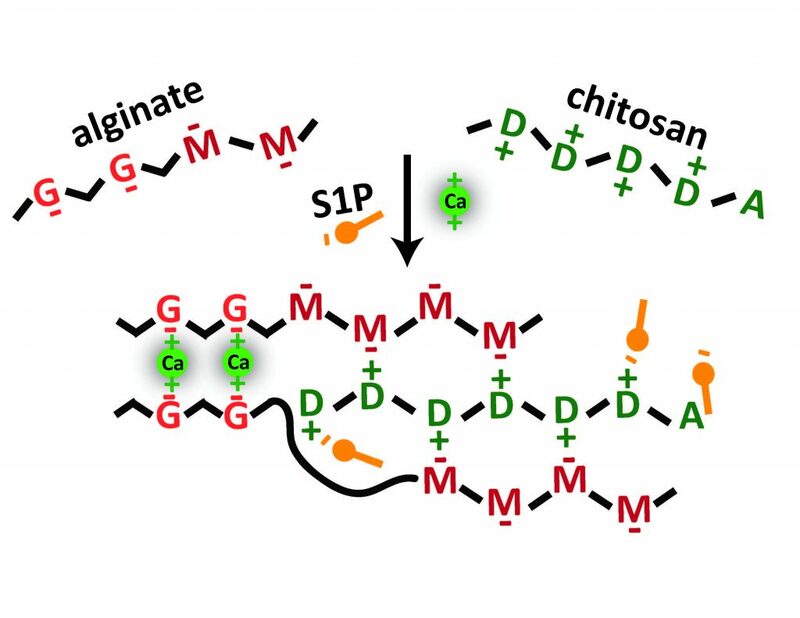 Illustration of howalginate-chitosan hybrid hydrogels could be used to further control the release of S1P. Eduardo Silva, Eliette Angel, Pablo Zamora, and Francisco Díaz (from left to right). Visiting Santiago, Chile! 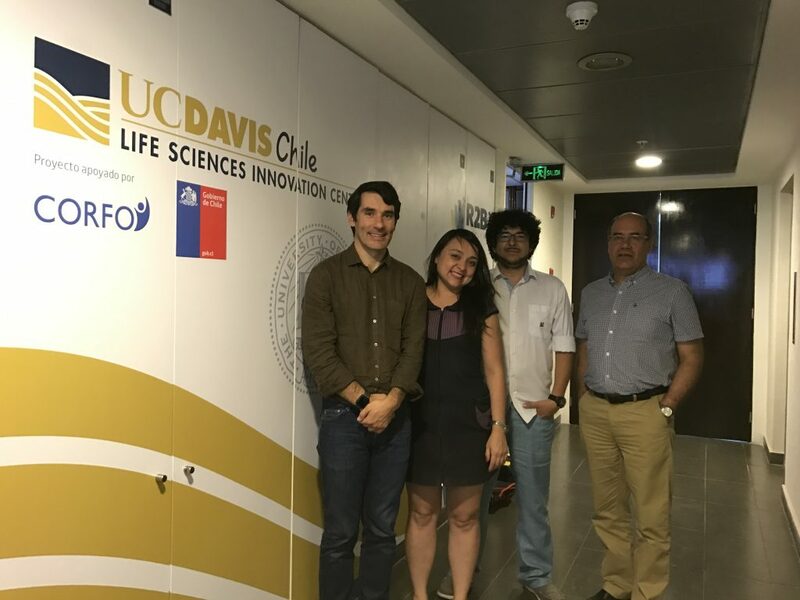 Eduardo was invited by the UC Davis Chile program to give a seminar and to interact with local researchers and University leaders. 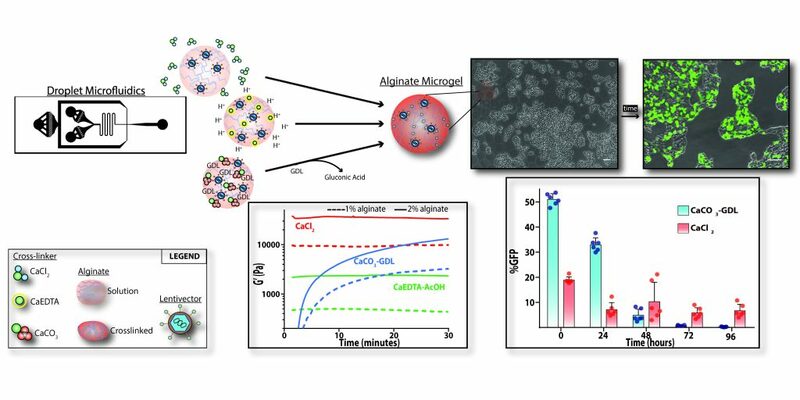 Congratulations to Priscilla Williams and all the other co-authors for the recent publication – Alginate-chitosan hydrogels provide a sustained gradient of sphingosine-1-phosphate for therapeutic angiogenesis – Annals of Biomedical Engineering (Pubmed). Congratulations to Priscilla Williams for defending her Ph.D.!! Fantastic job – Dr. Williams!! 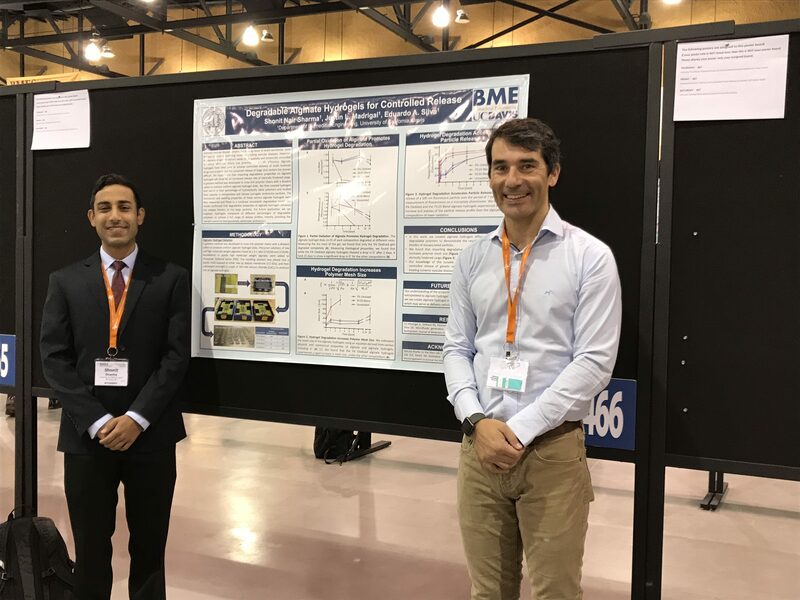 Congratulations to Justin Madrigal for presenting his work (oral presentation) at the Biomedical Engineering Society Annual Meeting in Minneapolis. Congratulations to Priscilla Williams for her poster presentation. Eduardo Silva served as the Angiogenesis platform session chair. Silva Lab members participated on 17th Anunal meeting Bioengineering UC. Priscilla Williams gave a talk. Justin Madrigal and Kevin Campbell presented a poster. Eduardo Silva chaired a session. Congratulations to Justin Madrigal for being accepted to present in the upcoming Gordon Research Conference – Drug Carriers in Medicine & Biology (August 7-12, 2016). Congratulations to Kevin Campbell for the UC Davis travel award. In the morning, Kevin Campbell presented his research to the BME External Advisory Board, including to Don Chigazola, current Chair of the External Advisory Board. Thanks Kevin for representing so well our lab!!! In the afternoon, Chaithra Sathisan presented her research during the UC Davis 27th Annual Undergraduate Research. Congrats Chaithra! 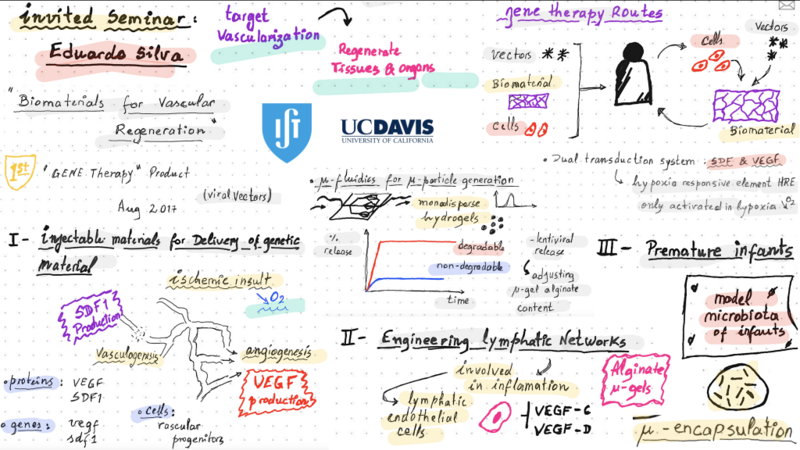 Congratulations to Kevin Campbell for presenting on the Lymphatics Gordon Research Conference (GRC) and for being awarded with outstanding contributions to conference discussions. Congrats Kevin!!! 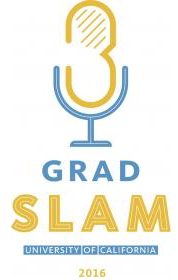 Congratulations to Kevin Campbell for being selected for the Grad Slam Competition. We are looking forward to your participation in the final! Fabio Carvalho arrived to California. He will be working in our lab as a visiting fellow. 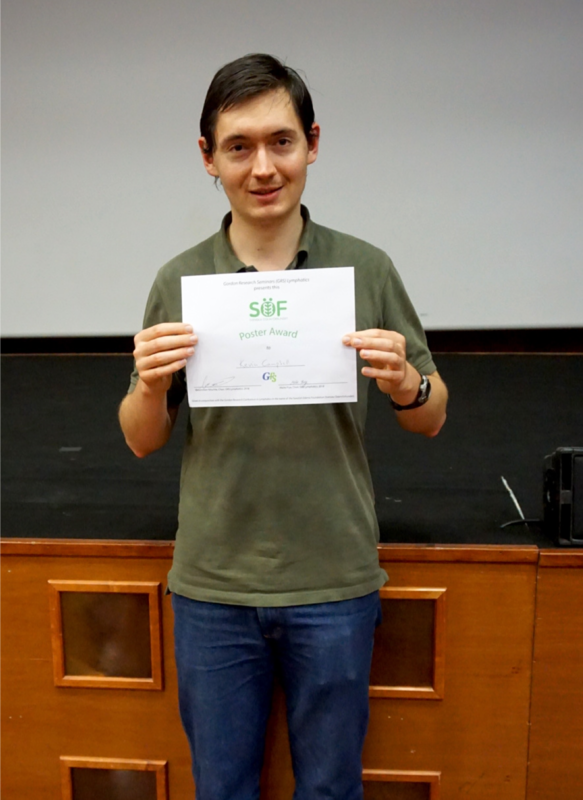 Fabio is a Master student that was awarded with a competitive Albert Renold Travel Fellowship and he decided to visit our lab during his award. Welcome to the lab, Fabio!! Priscilla Williams was awarded with a Graduate Student Travel Award. Congratulations Priscilla!! Kevin Campbell joined the Silva Lab. Welcome Kevin!! 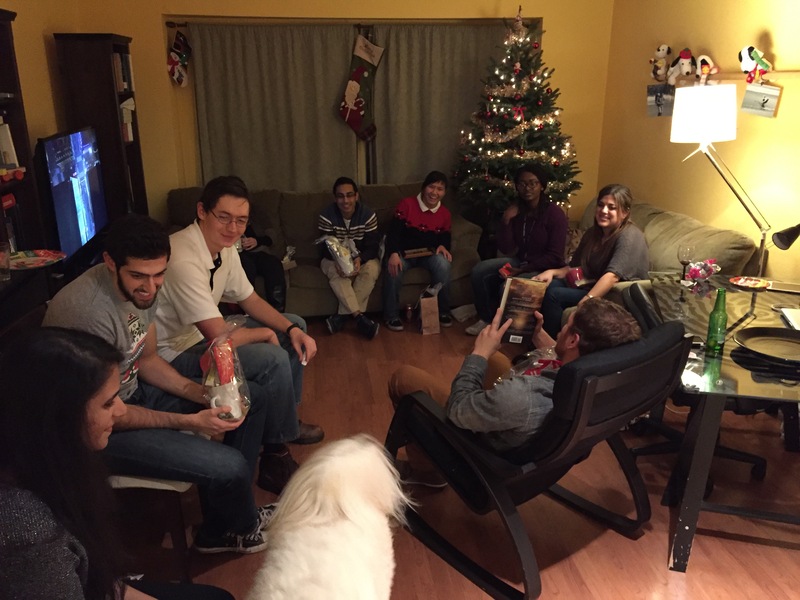 Silva lab Christmas party !!!! See other pictures here. Eduardo Silva delivered a lecture at Sacramento State University at the Regenerative Medicine lecture series – Journey of Stem Cells: Material-based systems for engineering new vascular networks (see the lecture). 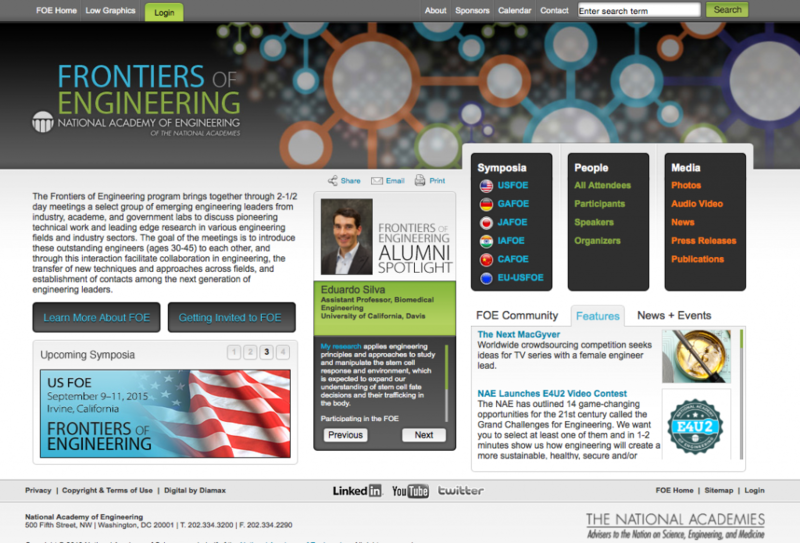 Eduardo Silva presented at the 2015 NAE Frontiers of Engineering Education – “Peer-review” teaching strategies for a multidisciplinary audience. Congratulations to Priscilla Williams for her oral presentation at the 2015 BMES Annual Meeting. A group of five UC Davis’ undergraduate students from the Special Transitional Enrichment Program (STEP) tour the Silva research group laboratory. The UC Davis College of Engineering News spotlight Eduardo Silva participation at the 2015 NAE Frontiers of Engineering Education. Congratulations to Priscilla Williams for her recent publication on Annals of Biomedical Engineering (pdf). Eduardo Silva gave an invited presentation at the 2015 North American Veterinary Regenerative Medicine Conference. Polysaccharide-based Systems for Engineering Vascular Networks was the title of his talk. 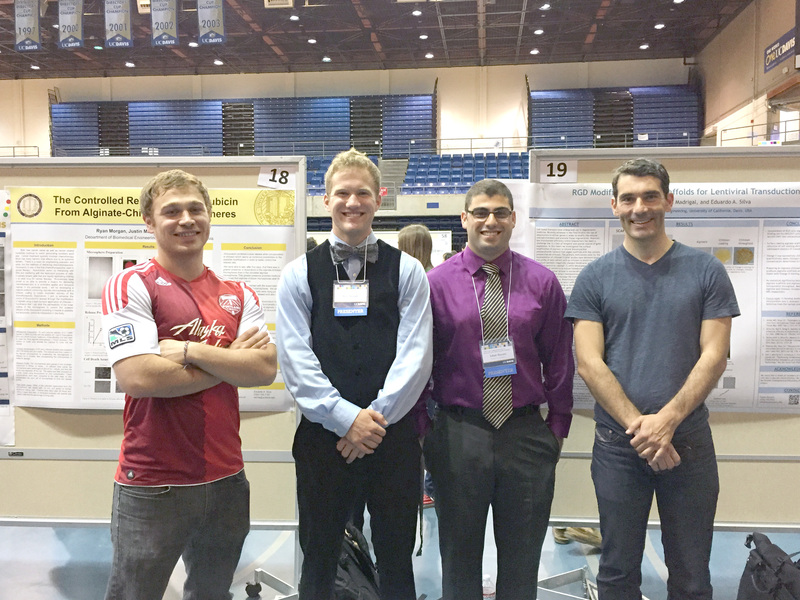 Silva lab members actively participated on the 16th Annual UC Systemwide Bioengineering Symposium at the UC Santa Cruz. 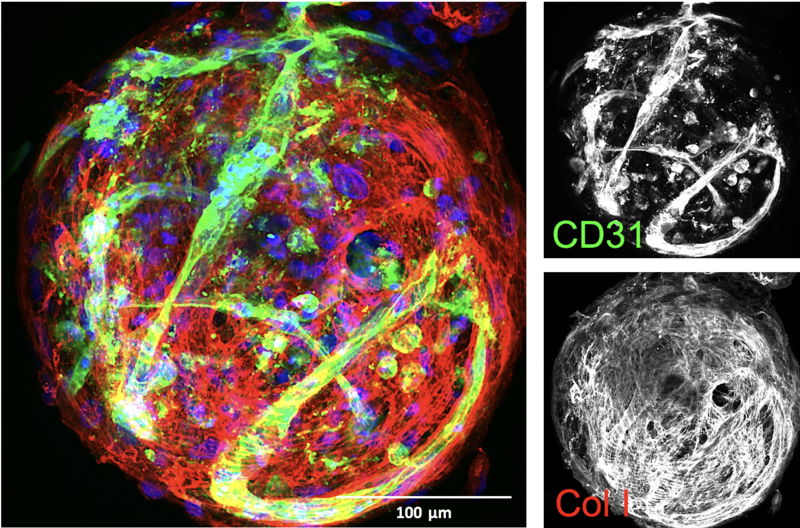 Congratulations to Priscilla Williams and co-authors for their recent publication on Tissue Engineering Part B (pdf). Eduardo Silva was awarded with an American Heart Association research grant. Priscilla William and Justin Madrigal presented their research projects at the Biomedical Engineering Graduate Group Student Research Conference. Sabah Rezvani and Ryan Morgan presented their research projects at the Undergraduate Research Week. Congrats, Sabah, Ryan and Justin (mentor). 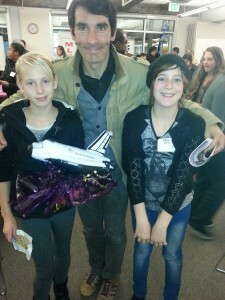 Sabah Rezvani presented his research at the John Maroney // BME event at the Menlo Circus Club. The goal of this private reception was to introduce BME @ UC Davis to a group ~20 bay-area CEO’s. Congratulations to Priscilla Williams and all the remaining Silva Lab co-authors for their publication on PLOS One (pdf). The Silva Lab research was featured on the National Academy of Engineering website. Ana Torres joined the Silva Lab. Welcome Ana!! Congratulations to Justin Madrigal for passing his Qualifying Exam. Justin did an outstanding job defending his project!! Congratulations to Sabah Rezvani for being awarded with an Provost’s Undergraduate Fellowship. Project title: “RGD Alginate Scaffolds for Lentiviral Transduction”. This is a great achievement for Sabah as he was the only Engineering student to be awarded this year. The Silva Lab research was featured at the UC Davis Medicine Magazine winter issue 2014/2015. Healing powers is the title of story. Congratulations to Priscilla Williams for being awarded with an American Heart Association Predoctoral Fellowship. The title of the project: “Manipulation of Endothelial Progenitor Cell Homing with Sphingosine-1- phosphate for Therapeutic Angiogenesis”. The award starts in Jan. 2015 and is approved until Dec. 2016. Eduardo Silva participated on the Frontiers of Engineering of the National Academy of Engineering. 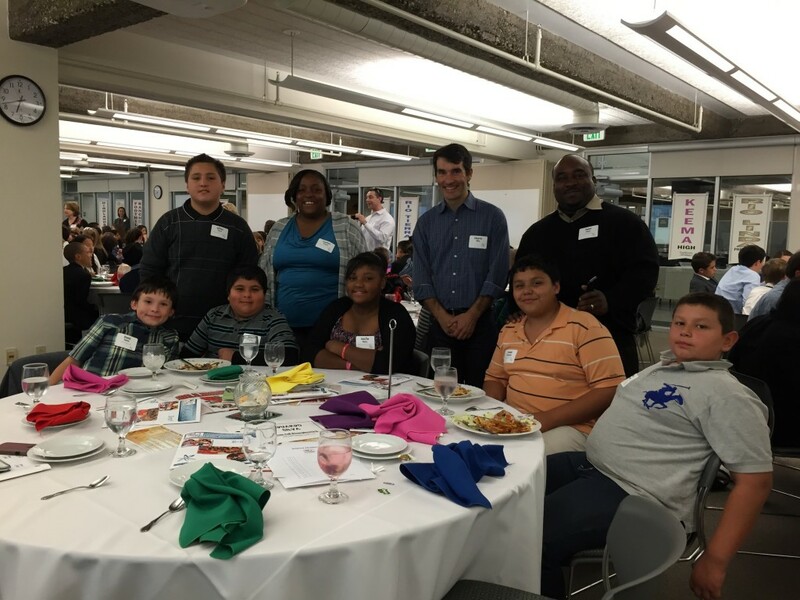 Eduardo Silva participated on the event “Dinner with a Scientist“, where he have the opportunity to learn with the Sacramento area high school students about their student projects. 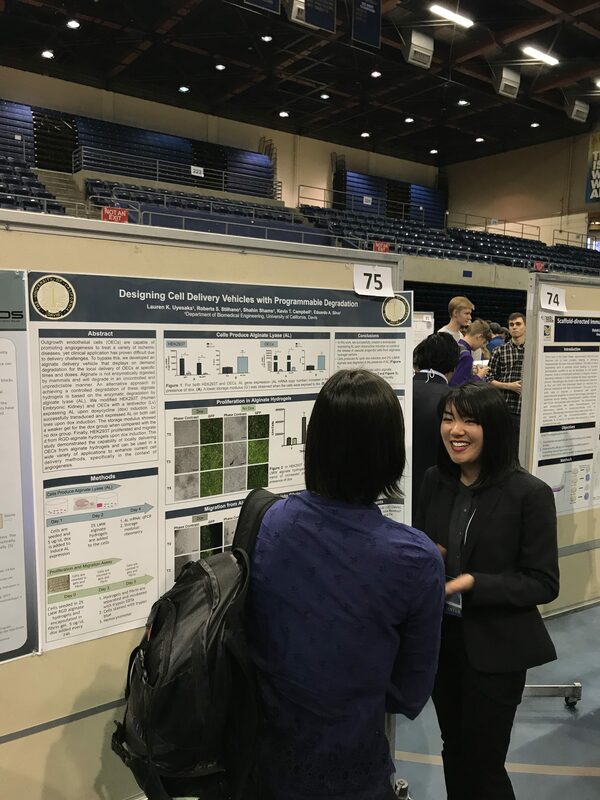 Congratulations to Priscilla Williams & Justin Madrigal for presenting their work at the Annual Meeting of the Biomedical Engineering Society (San Antonio – Texas). Eduardo Silva was responsible for co-chairing a scientific meeting – Stem Cells in Translational Science. Farewell to Roberta Stilhano, it is time for her to return back to Brazil. You will be missed. Best of luck!! Congratulations to Priscilla Williams for being selected to give a scientific talk at the Gordon Research Conference (GRC) / Gordon Research Seminar – “Endothelial Cell Phenotypes in Health & Disease”. The Endothelial Cell Phenotypes in Health & Disease Gordon Research Seminar was held in conjunction with the Endothelial Cell Phenotypes in Health & Disease Gordon Research Conference in Spain (Girona). The title of talk was: “Investigating the Role of Sphingosine-1-Phosphate and Hypoxia on Mature and Progenitor Endothelial Cells”. Eduardo Silva was awarded with a Hellman Foundation fellowship. Congratulations to Priscilla Williams for passing her Qualifying Exam for her Ph.D.. Priscilla did a fantastic job presenting her project!! The Silva Lab have a new graduate student. Welcome Roberta Stilhano to the Lab!! Congratulations to Priscilla Williams for wining a Best Poster award at the 14th Annual UC Systemwide Bioengineering Symposium!! Congratulations to Justin Madrigal for being awarded with a HHMI fellowship! !